The most common misconception that luxury real estate marketing professionals have about personal and company branding is that it is as simple as creating a new look. Given that the average age of most real estate websites is five years old (35 years old in internet years) , a new look can be helpful. But, your brand will not become your “silent salesperson” if it does not reflect your entire package--the soul of your brand. To quickly grasp the vital importance of what we mean by the soul of your brand, consider the classic story of the Wizard of Oz. Dorothy wanted to get back home. The Scarecrow wanted brains. 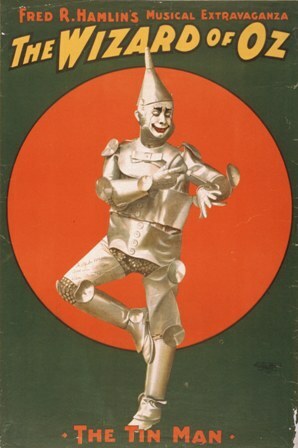 The Tin Man wanted a heart and the Cowardly Lion wanted courage. Your personal or company brand must have brains. Your knowledge of your marketplace, your negotiating skills, and your educational background are all logical reasons to do business with you. Your brand needs a heart. These are the emotional reasons to do business with you. What you stand for, what you value most, what you are passionate about: all of these things must be reflected in your brand. Although, your superior marketing savvy must be reflected in your brand both intellectually and emotionally it is your courage to be different, to be distinct from your competition and to stand out from the crowd that is the soul of a market leader. But, the most important aspect of your brand must be authenticity. That was Dorothy’s quest: to get back home. If you are not “at home” with yourself, if you are not totally comfortable within your brand because it does not reflect who you really are, you will not attract your ideal clients. Ideal clients are people like you who recognize that you are a match faster because you exposed and expressed your brain, your heart and your courage within your brand.